4-Bedroom, Kid-Friendly Beachfront Vacation Rental with Swimming Pool. This two-level, elegantly appointed oceanfront home is set in a quiet, beachfront community of Las Catalinas, overlooking the north Pacific coast of Guanacaste. Casa Azul features a cheerful Mediterranean style, tastefully combining white and blue textiles and textures throughout the house along with a sophisticated array of regional fine art. The home accommodates eight to ten guests comfortably and is well suited for families traveling with children. The floor-to-ceiling windows of the master suite open up to a pleasant private balcony. Its bright bathroom is complete with a separate rain shower and French tub and a splendid walk-in closet. The other master suite has an additional daybed for an extra guest or child. The third bedroom is a cozy bunk suite with two twin beds and a sleeper sofa. For larger groups, the state-of-the-art media room on the main level doubles as a fourth suite. All suites have top-of-the-line linens and towels, private baths with beautiful mosaics, and walk-in-closets. The media room features a large 3D plasma TV with an excellent surround system, Apple TV, Blu-ray DVD players, and a select library of films, table games, and books at your disposal. The house is fully equipped with central A/C, ceiling fans, wine honor bar, ice maker, chef-quality kitchen, and many other amenities. 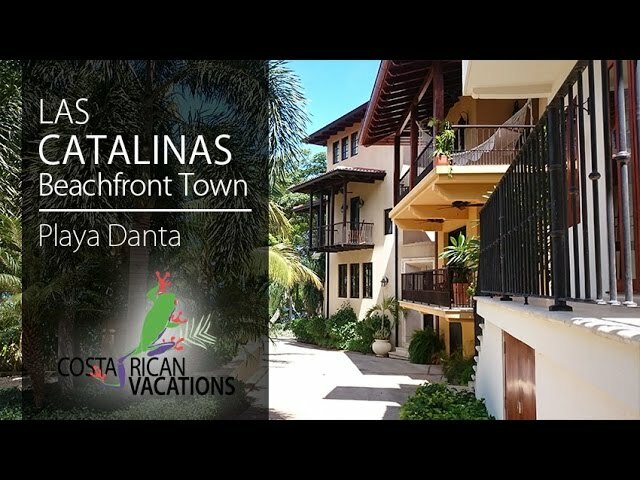 In addition, Las Catalinas provides beach toys for rent, a beachfront restaurant, and a beach club with daily activities and a gym. The attentive concierge will make sure your needs are completely met, and the housekeeping service will ensure you don’t lift a finger. Indulge yourself in a tranquil read while sunbathing in the pool area, or share a drink and a stunning sunset in the open-air living room.